Regardless of how these animals are treated on set, the reality is that they're being placed in unnatural environments and made to act for other people's amusement against their will. What's more, there's evidence that using real primates on screen actually encourages the illegal pet trade. It's estimated that more than 3,000 great apes and hundreds of thousands of other primates are traded as pets and bush meat each year. 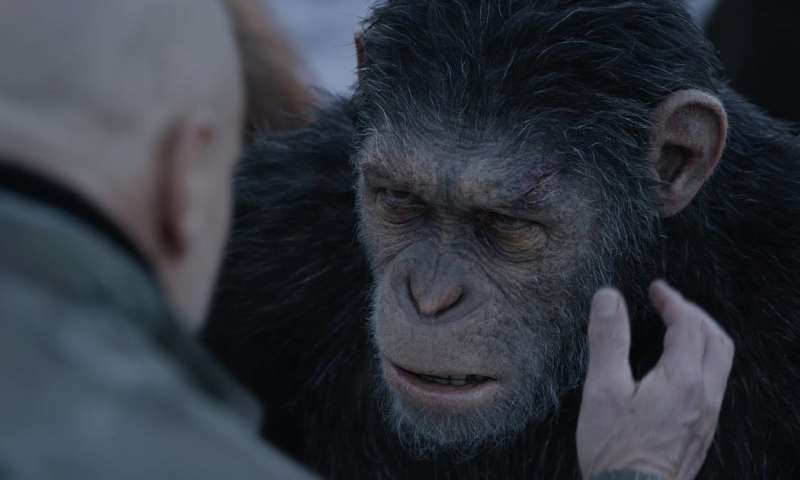 A recent study of films released between 1990 and 2013 found 70 movies in which primate actors appeared. 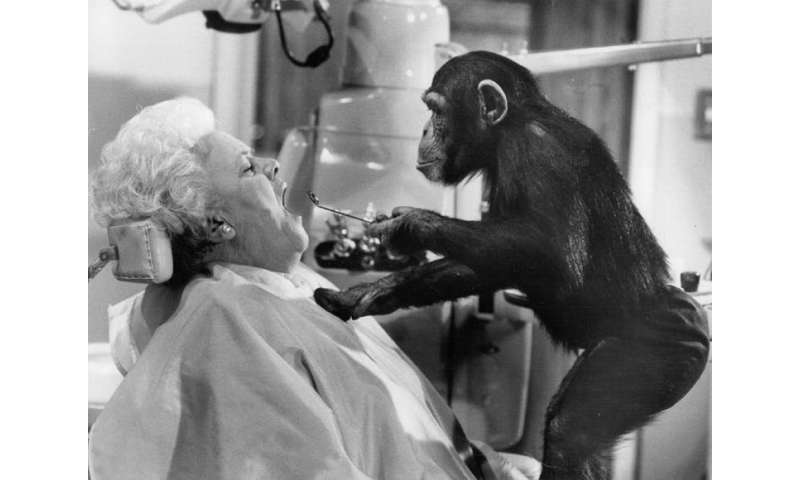 Chimpanzees, capuchins and old-world monkeys were the most commonly used animals. The study found that more than half the time they were shown among people, dressed up and performing human actions. It also found that primates on screen were "smiling" 19% of the time, something that primatologists widely recognise as an expression of fear or submission. These traumatised infants, who would normally spend up to five years with their mothers living in complex social groups, are deprived of normal development by their human carers. It's increasingly common for primate owners to share videos of their "pets" on social media being clothed, bathed, fed inappropriate diets and forced to interact with domesticated animals such as dogs. Pet primates are also often permanently harmed to make them "safer" for their human owners. For example, pygmy marmosets (also known as finger monkeys), the most trafficked primate species after squirrel monkeys, live in the Amazon rain forest and have sharp teeth to drain sap from trees. Pet traders will often remove the monkeys' sharp teeth to prevent potential owners from getting bitten. Shockingly, it is not illegal to own one of these primates in the UK – and owners are often unaware of how and where their pets were obtained. Exploiting wild primates for entertainment must be stopped. The evidence suggests that using these animals in film-making, especially when they're so often portrayed as human companions and caricatures, only adds to the demand for their part in the brutal illegal pet trade.